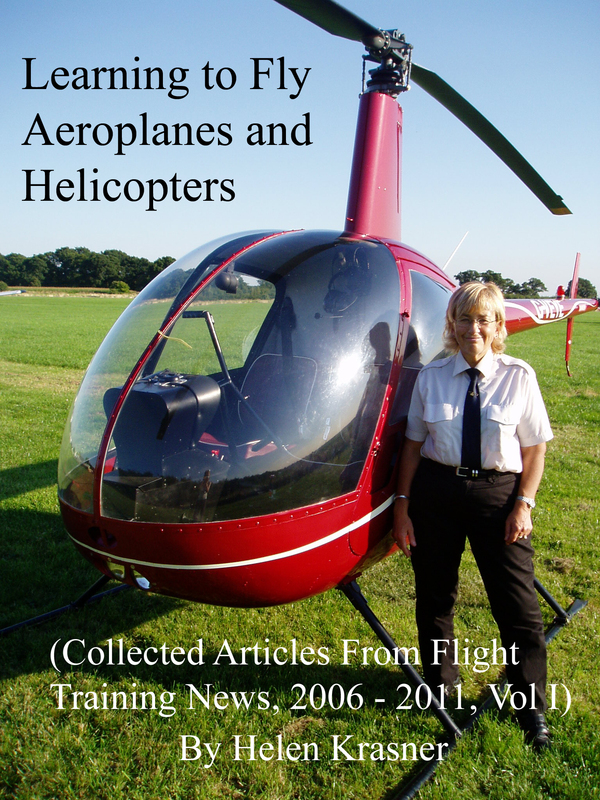 In 2006 I started writing a regular column in the monthly publication Flight Training News. I contributed informative but lighthearted articles on all aspects of flying, for the most part drawing on my own experience, and peppered with useful anecdotes from my own flying. To date I have written nearly 100 of these articles, and various people have commented on how useful they have been, and also remarked that they would make an excellent book. Hence the idea for this publication – the first of a series of four. This first one collects together my fairly introductory articles on learning to fly both aeroplanes and helicopters, aimed at the beginner and those undertaking the Private Pilot’s Licence course. It starts by asking the all-important question: Can Anyone Learn to Fly – and she concludes that they can. The next few chapters give useful advice on those all-important price-related issues, plus finding the right airfield, flying school, and instructor. We then move on to some of the human issues related to aviation training, such as confidence problems and how to learn from one’s mistakes. The later sections talk about the important milestone of ‘going solo’, and finally, how to cope with test nerves when you get to that crucial final flight test. I apologises in advance for any repetition, and also for the large number of apparent gaps, should anyone expect this book to follow the whole Private Pilot’s Licence course. It should be remembered that this is a collection of articles, written at different times during the last few years, so such things are inevitable. It should definitely not be used to replace a standard textbook and a flying instructor’s briefings, but will hopefully provided additional useful and interesting information; that is all. You can buy this book here.